Known to be one of the most spectacular skylines in the world, Hong Kong boasts an impressive display of skyscrapers and is one of the most exciting experiences to explore. 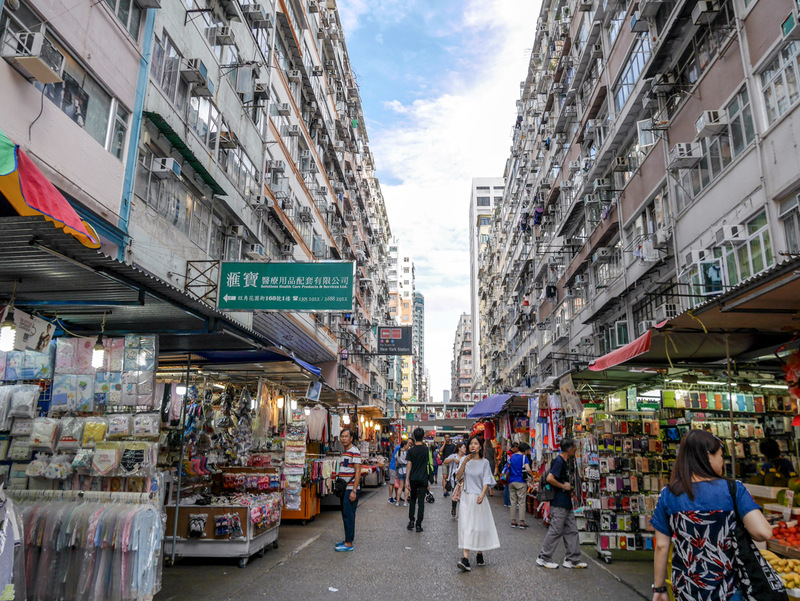 Most people don't have a lot of time in Hong Kong, so we've broken down an itinerary to give you a breakdown of what to do with 3 Days in Hong Kong. 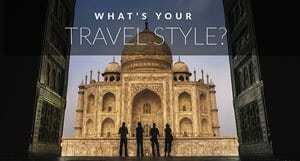 After an overnight flight, ask for an early check-in at your hotel for some RnR before heading out to see the sights. Have a short nap, take a shower and then start your adventure. We stayed at the Mira Hotel in Kowloon and loved its central location far enough away from the hustle and bustle of downtown. Once you are rested, grab a quick bite to eat at the hotel. Enjoy lunch at Cuisine Cuisine inside the Mira. It's known for its Dim Sum and it doesn't disappoint. After lunch set off to see the Sky 100. Hong Kong’s famous skyline is made up of numerous skyscrapers and the Sky 100 offers a bird-eye view of the entire city and surrounding mountains. 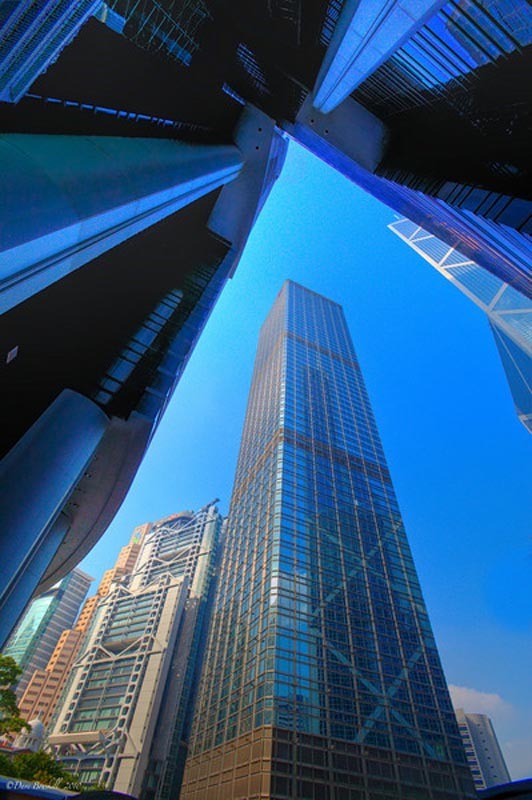 Make your way to the International Commerce Centre to visit the Sky 100 observation deck and look at Hong Kong. 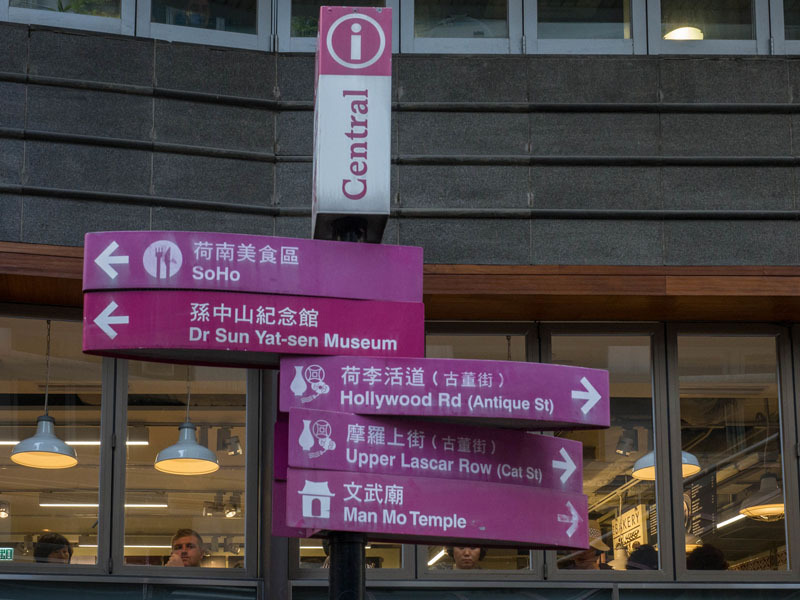 Once you are done at the Sky 100, Hop on the Star Ferry terminal to venture over to Hong Kong Island and the main city center to spend the rest of the afternoon and evening at Victoria Peak. 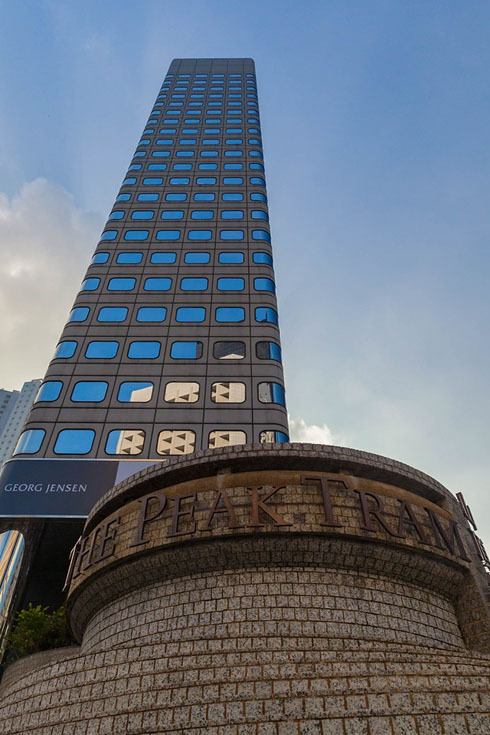 The Peak Tram has been operating since the turn of the century and costs mere $36 HK Dollars for a return trip. If you can handle the lines, it is worth going up to have a bird’s eye view of Hong Kong at 552 meters above the harbor. There are hiking trails and biking trails too. We saw the Hong Kong Adventure racing team working out on their mountain bikes and wished that we could take one for a spin ourselves. You can even get your shopping in, as there a massive mall and eateries at the top for a person to spend an entire day touring around. 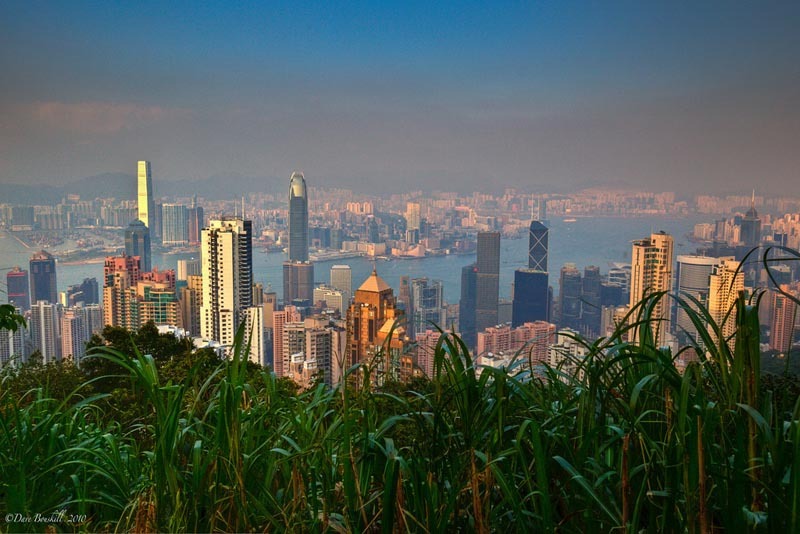 The top of the Peak is the best spot for sunset in Hong Kong, but make sure to choose your spot early and stay there. It's very crowded, so you will have to fight for a good view. 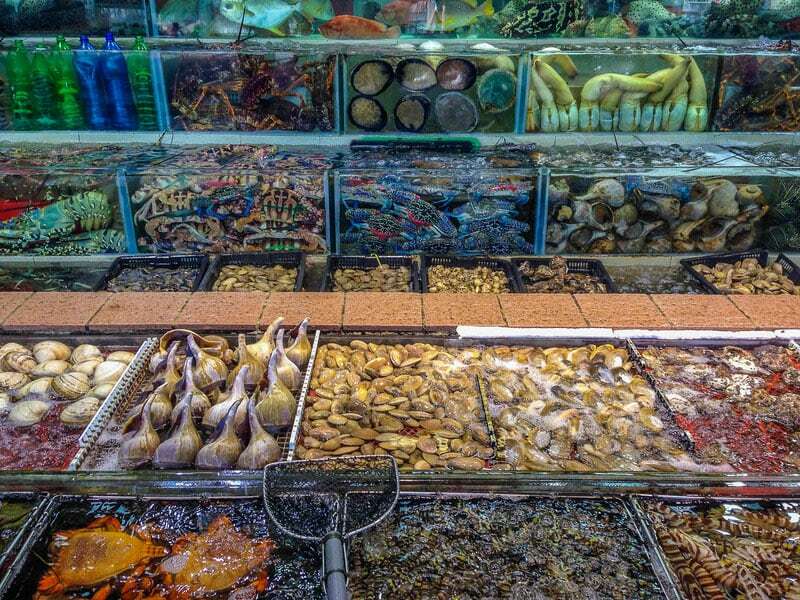 Before heading back to your hotel, go back to Kowloon and check out one of the most popular markets in Hong Kong. Here you'll find inexpensive bargain-priced clothes and accessories. It is not only for ladies. 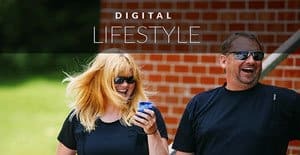 There's also a variety of men’s clothing, and just about all kinds of merchandise including small household items, electronic gadgets, and toys. 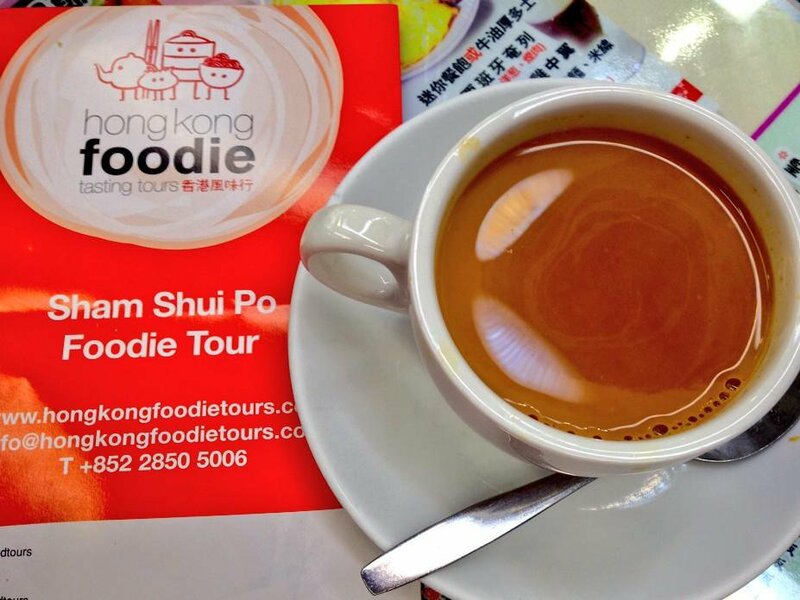 Skip breakfast and instead explore the local delicacies in Sham Shui Po area on the Hong Kong Foodie Tour. This tour is excellent to learn about the food and culture. You won't need lunch after the food tour, so book another tour for the afternoon that will take you around the SoHo district and explore the PMQ, former Police Married Quarters. It has been revitalized into a creative hub with design studios and pop-up stores. Then pop in for a snack at one of the surrounding restaurants and Taste Library. 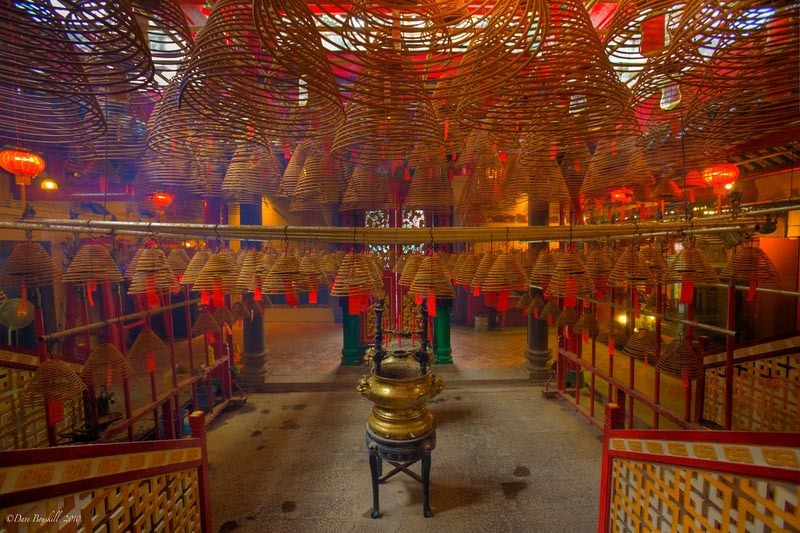 Known for its coils of incense hanging from the ceiling, it is a must stop when visiting Hong Kong. Man Mo Temple is greatly significant in the community. Under the management of the Tung Wa group, it subsidizes recurring expenses in the community. 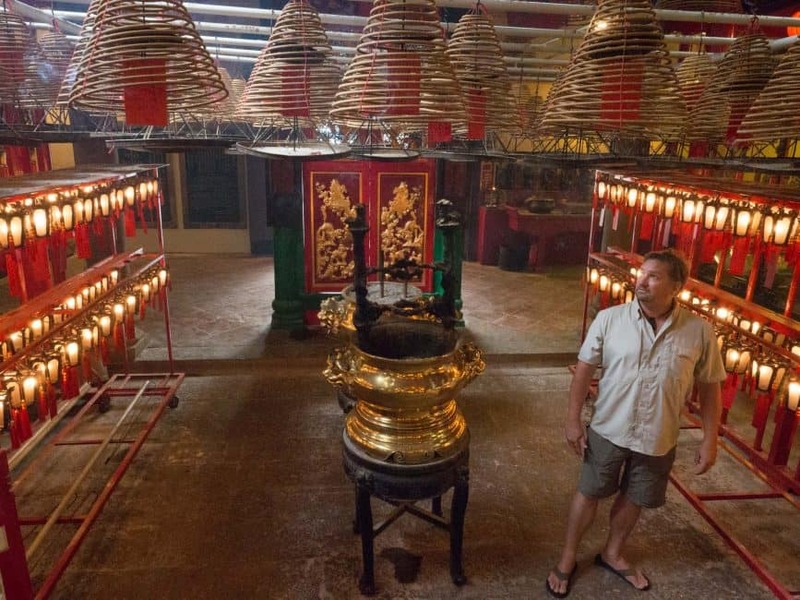 Using the surplus from the Man Mo Temple and 12 other temples in the Hong Kong district, it offers a wide range of medical, educational and community services in 223 centers around the city of Hong Kong. With funding from the Man Mo temple originally, Tung Wa started the first free school in Hong Kong in 1880 and has expanded to 52 schools today offering free education to underprivileged students. I thought that we would simply be visiting yet another temple in our travels, but I was pleasantly surprised to see the great work that the Man Mo Temple has done. Soho used to be a run-down old style apartment block but today it is filled with trendy eateries and shops. It boasts the world’s longest escalator. At 800 meters, it makes the hillside neighborhood steps a non-issue for visitors and residents alike. The escalators go up all day from 10:00 am to midnight, but are switched to the down positions for the morning rush hour. It takes 20 minutes to ride it to the top, but you can hop on hop off at any time. As there are openings for every street. Be sure to walk along the street of Soho to explore the antique stores lining the street. Enjoy dinner at Make in Hong Kong. Tonight is the night to enjoy the Hong Kong Pulse 3D Light Show, utilizing 3D projection mapping, music, sound, and light. The light show itself is not an impressive piece of theatre, but to see the buildings light up in different colors and patterns is worth the pause in your evening events. 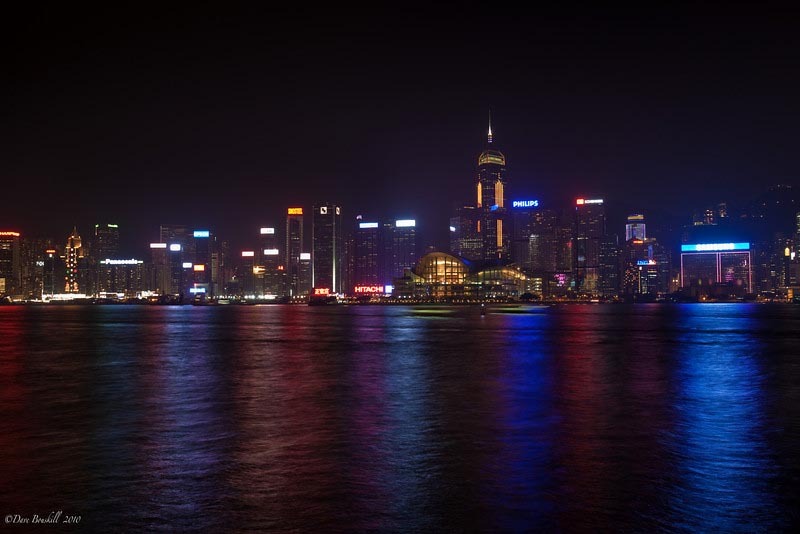 If you are staying in Hong Kong central on the North Side, make your way to the Star Ferry terminal and either go over to Kowloon or take a cruise for the night to watch the show from the centre of Victoria Harbour. The show lasts for about half an hour and it is completely free. We stayed in the Kowloon district, an area looking over Victoria Harbour at the vast skyscrapers of Hong Kong central. 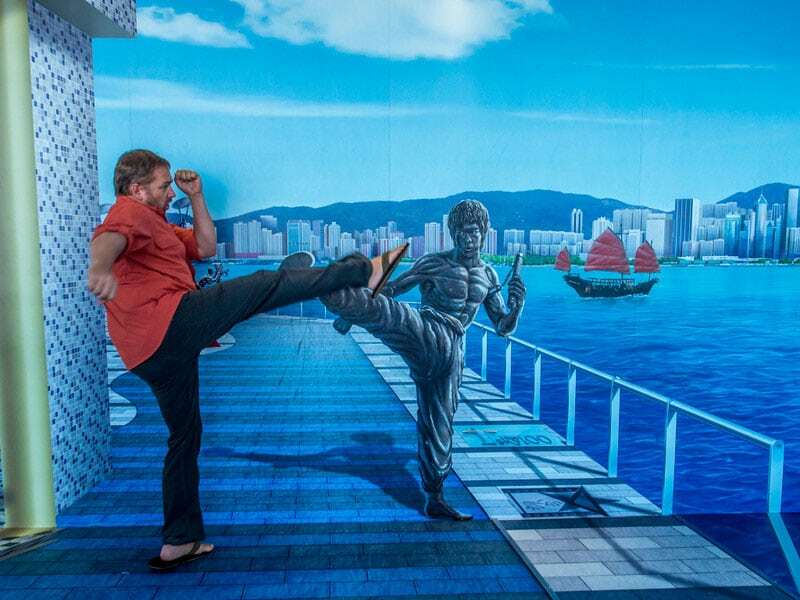 At night, make your way down to the Hong Kong Cultural center of Kowloon and set up your tripod by the clock tower. Get there early as the crowds are fierce and photographers compete for the best vantage point. It is here that you will see a fabulous display. The Bank of China is the centrepiece of the show as it changes its diamond patterns of lights regularly flashing constantly to different colors, rhythms, and shapes. I.M. Pei’s masterpiece is turned momentarily to a new age work of art. Yes, I think that we could live in Hong Kong. Now if only we had jobs suited to the high lifestyle that so many people seem to live. 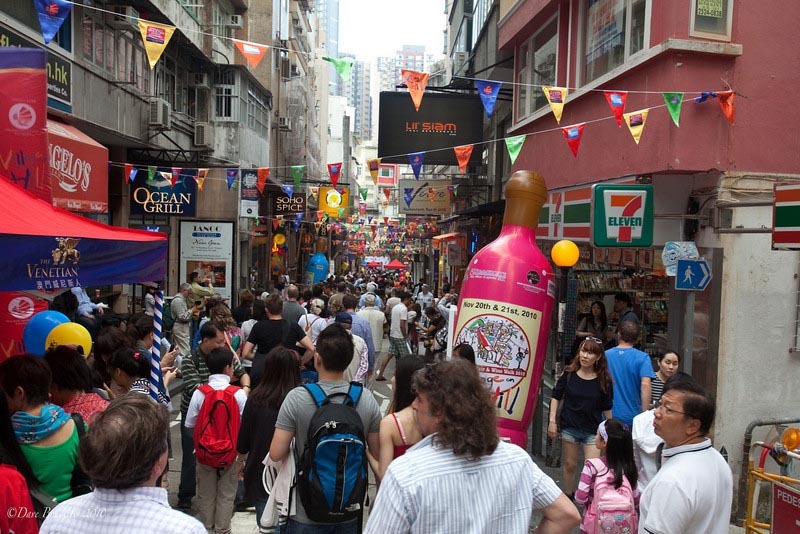 Hong Kong is one of the most vibrant cities we have ever visited. It has a modern cosmopolitan feel, but if you look hard enough, you can find pockets of its rich history. 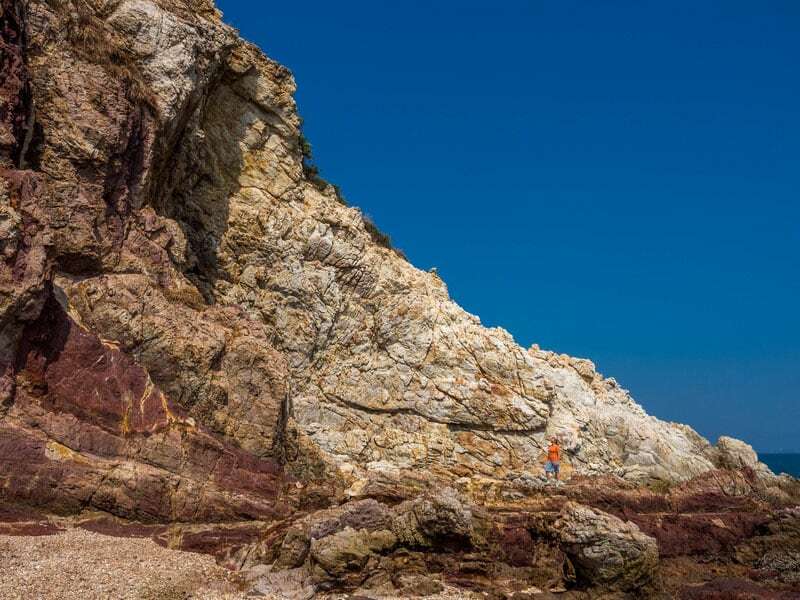 Visit to Geopark which makes up most of this region, has the most comprehensive stratigraphy of sedimentary rocks in Hong Kong, ranging from 400-million-year-old Devonian sandstone to a conglomerate of 55-million-year-old tertiary siltstone. The area is also rich in landforms resulting from different erosional processes. Enjoy seafood at Shing Kee Seafood Restaurant, one Michelin star restaurant. This is one of the less trodden gems of Hong Kong and the 10,000 Buddhas Monastery in Sha Tin is a must! 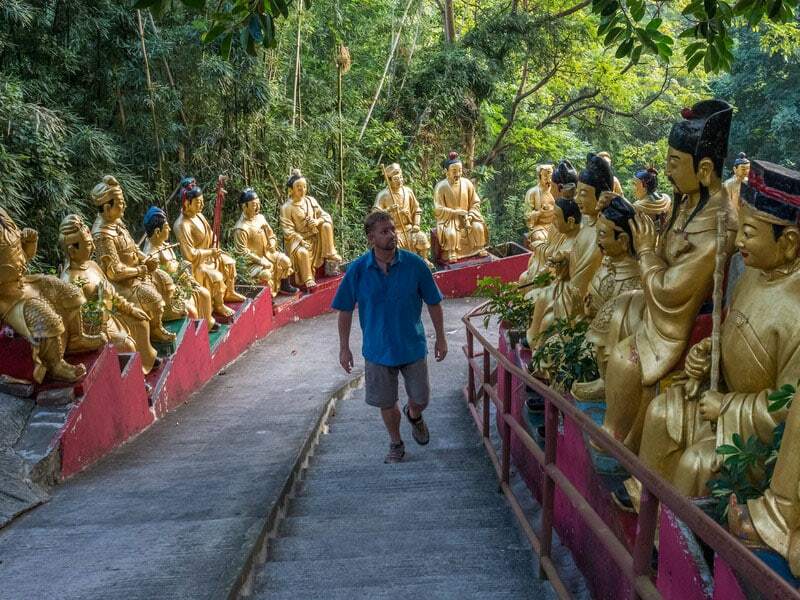 Walk up the path lined with hundreds of Golden Buddhas to the temple above offering extraordinary views. Before heading to back to the hotel, take a stroll along the waterfront and check out the Hong Kong Hollywood Walk of Fame. 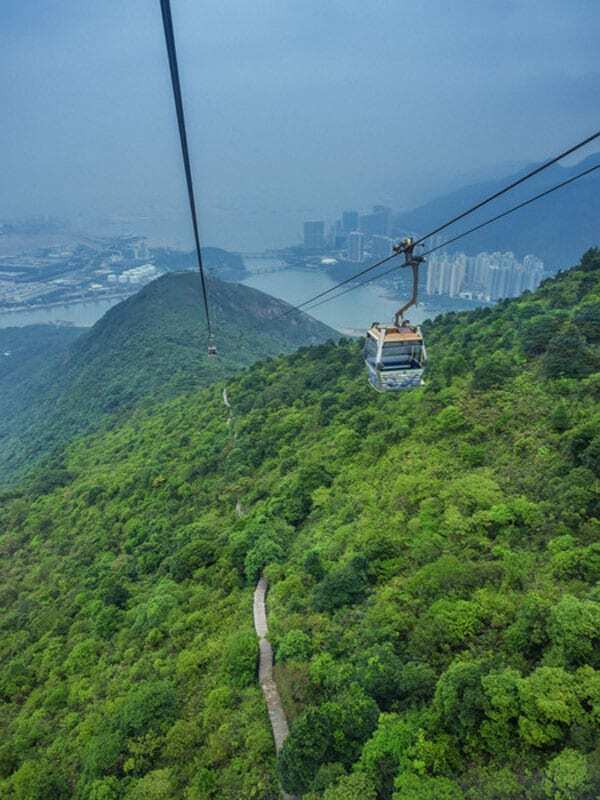 Begin with breathtaking panoramic views of the island as you soar high above the water on a 5.7km cable car journey to Ngong Ping Village, the spiritual (and physical) home of the Tian Tan Buddha. Relax with a cup of Chinese tea and atmospheric music at the Linong Tea House. 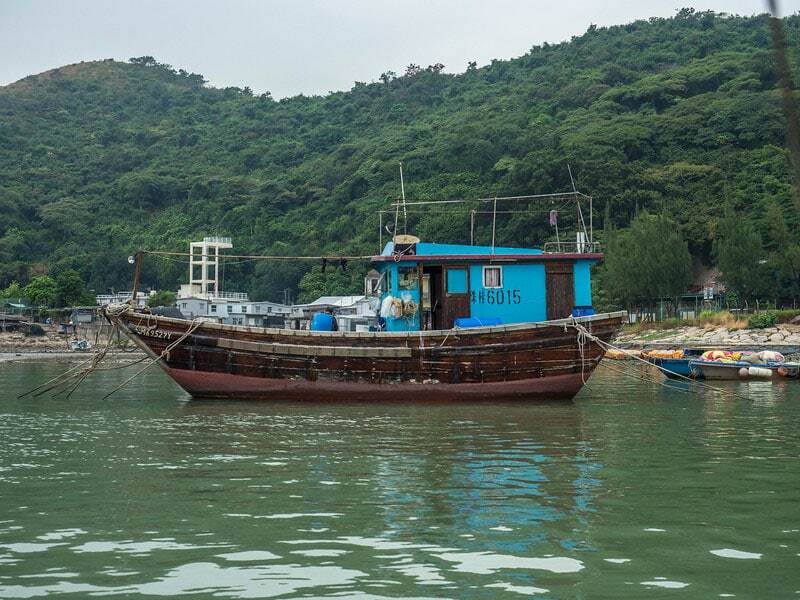 If you have time, go to the Tai O Village to see the pink dolphins and fishermen. See how the life of the fisherman used to be in Hong Kong. Enjoy lunch at Loong Toh Yuen. From here it is time to head back to the city and catch your flight onwards. Hong Kong is divided into 4 areas; Hong Kong Island, Kowloon, New Territories and the Outlying islands. Hong Kong Island is where you will find all the big skyscrapers including the Bank of China designed by I.M. Pei. Kowloon overlooks the harbour and is a popular place for travelers to stay. It boasts the tallest building in Hong Kong and has an impressive skyline in it’s own right. Ferries run regularly between Hong Kong Central and Kowloon. Ferry costs 2.40 HKD one-way. 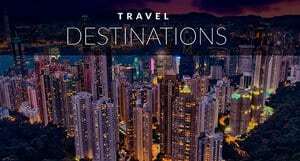 26 Responses to "3 Days in Hong Kong – A Complete City Guide Itinerary"
Great read on your trip to Hong Kong! Were you guys able to go on a dim sum spree during your stay there? I was there earlier this year and didn’t manage to eat anything else besides dim sum! 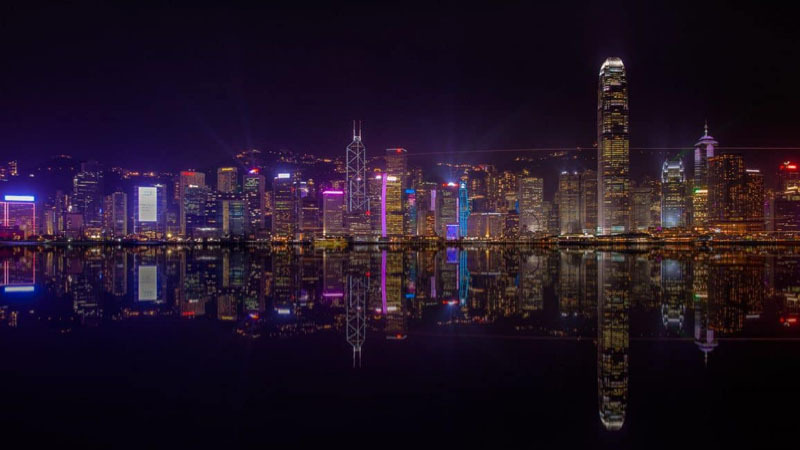 I love Hong Kong and I think doing a tour might be a good choice especially when you have limited time there..
.-= Michael´s last blog ..Hong Kong- Naturally =-. Great Hong Kong tips and photos, guys. We were in HK ages ago and my then 6-year-old especially loved going back and forth on the Star Ferry. .-= Sophie´s last undefined ..Response cached until Wed 8 @ 20:23 GMT (Refreshes in 57 Minutes) =-. Only by reading your blog, it seems that I already visited Hong Kong. I would have been satisfied if not for the fact that i need to see it with my own eyes. I’m in need to ride that long escalator you’re talking about. And watch those illuminating lights at night. Thanks Nelly. 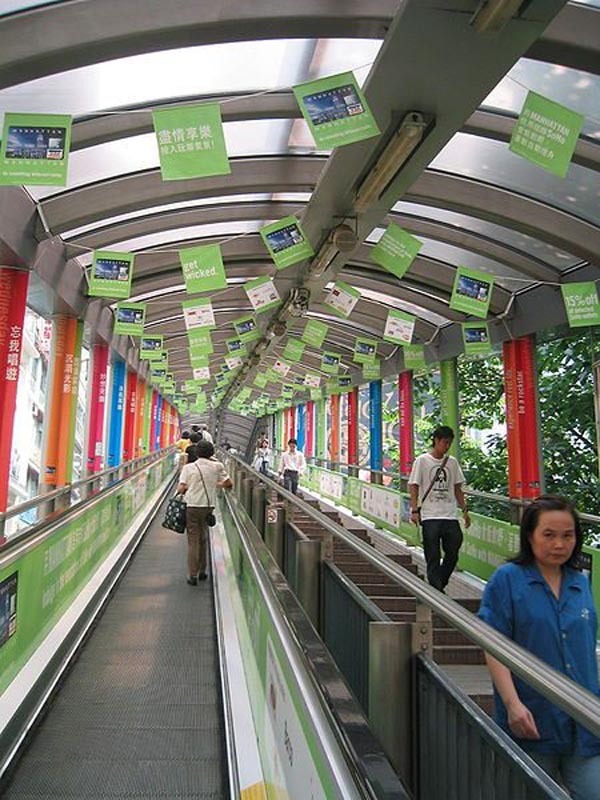 Yes, you have to go to Hong Kong, it is a wonderful city and it is filled with escalators! I love Hong Kong and I think doing a tour might be a good choice especially when you have limited time there. We did a tour without family (using personal guide since our group is quite big more than 15 people). On a free day, I spent an afternoon looking for that escalator but never found it. 🙁 Can’t wait to go back there again. .-= Amy @ The Q Family´s last blog ..Road Trip With Kids- Fun Stop for Family at Cracker Barrel =-. Bummer you never found the escalator. It is in Soho a very cool neighbourhood of Hong Kong. Oh well, it now gives you an excuse to go back! So glad you guys enjoyed Hong Kong! It is one of my favorite cities! It is expensive but so worth it. .-= Melanie´s last blog ..Dec 1- The Ipad – Kids Best Friend =-. I was in Hong Kong ten years ago and loved it although I agree it’s so expensive! After day 4 I was happy I was leaving the next day as my budget couldn’t handle the eating and I was already skipping breakfast! I was there at the end of Christmas and the holiday themed light show was amazing. .-= ayngelina´s last blog ..6 Porky Perfect Foods in Ecuador =-. Hong Kong is expensive. Everyone looked so well groomed and put together, we felt like slobs. I would love to dress in designer clothes and walk around in their shoes for a couple of days. I think it could be an amazing city to experience if you had a large bank account. Great post. Hong Kong is one of my favorite cities! Your photos really do it justice. .-= aladyinlondon´s last blog ..Lady Visits Vienna =-. Thanks! We were lucky that we had some clear weather for the day shots. It was clear for one day only. The rest of the days had the usual China haze over the city. 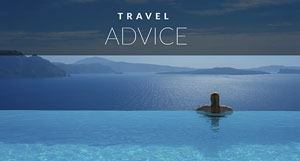 .-= Andrea´s last blog ..Travel with Arm Lymphedema- An Unwanted Accessory =-. Hi Andrea. Hong Kong has an amazing skyline. If you spend 3 days there it won’t break the bank and you can see most of the highlights. 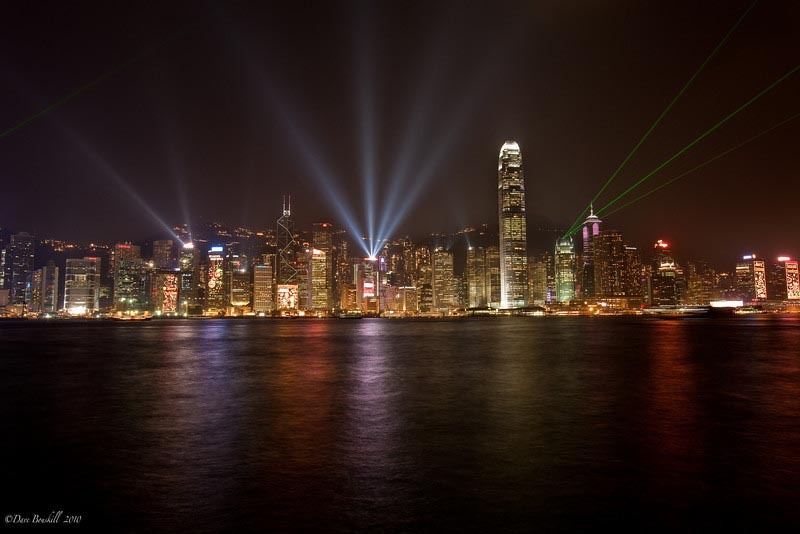 Hong Kong is indeed a spectacular city and the light show is amazing – we were lucky enough to be there in the lead-up to Christmas and all the buildings had extra lights on them! The Peak Tram is a must-do experience and one of our all-time travel highlights. The weather during the day is perfect but we must warn that it gets a lot more mild when the sun goes down! We made the mistake of under-packing and not bringing pants or jumpers which was a bad mistake on our part! .-= Kieron´s last blog ..The challenge of delayed gratification =-. Hey Kieron. Yes, they have the lights on for Christmas now too. it is a little bit kitschy, but very impressive. You are right, at this time of the year when the sun goes down it is chilly. I feel for you, it is cold up there!